The latest version of OS X Mountain Lion developer preview was released earlier today and there is one change that has been noticed already. 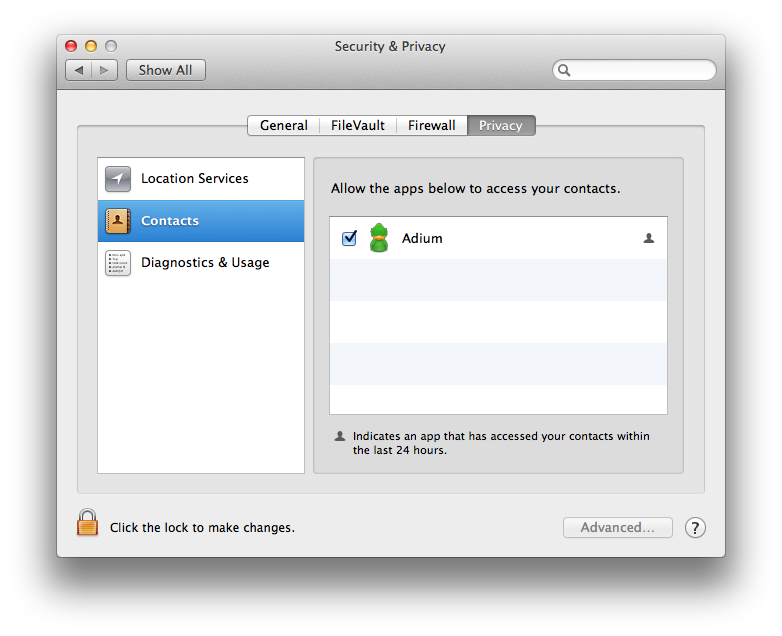 Designer Dustin Curtis points out that Mountain Lion now asks your permission before allowing Mac apps access to your contacts. There is a new dialog that pops up when an app asks for access to Contacts, the app that was previously known as Address Book. Apps no longer have automatic access to your contact information, whether for legitimate use or not. Curtis says that there is also a new preference pane in System Preferences>Privacy that shows which apps have access to contacts permissions and that allows you to disallow those permissions if you choose. This is obviously in response to the privacy issues surrounding the sharing of personal information like Contacts and photos with apps. 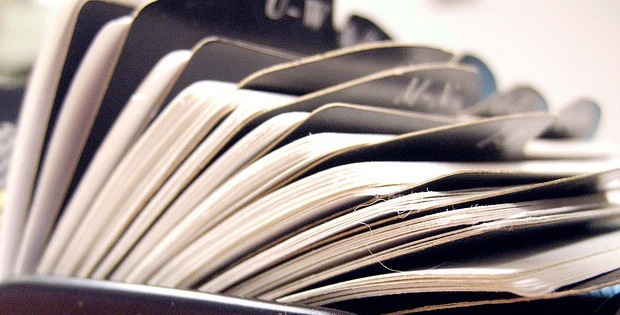 The issue surfaced when personal diary app Path became the fulcrum of a massive discussion about how cavalier mobile apps are getting with harvesting your, presumably, personal information. Path was found by a developer to send the entire contents of its users Address Books, where, it was uncovered, it was being stored locally. Predictably, when privacy issues are concerned, there was an outcry about how Path handled the data, and many decried it for being underhanded or even flat-out lying about its procedures. We explored the issue deeper with a piece on what iOS apps had access to your data, why they did and what they were doing with it. 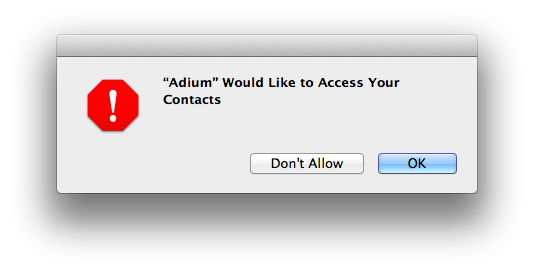 All of the attention around the issue seems to have spurred Apple to take steps to protect user data even on OS X. Yes, it means one more dialog box for users to click, but it will probably head off issues in the future. I’d expect to see a dialog like this one begin to appear when apps ask for access to your photos too.